Importation and improvement of fishing tools of rope-like fishes, such as: complex-type outer hooks of milling and fishing, high-strength low friction wash over pipes, external square hooks and other tools; complete a variety of fishing process of rope-like fishes. Capable of fishing of completely crushed cables and other rope-like fishes. 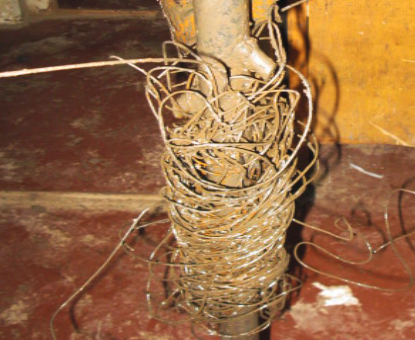 The most frequent undersurface accidents are those of pipes and rod-like. Rod-like fishes are difficult to fish due to their smaller outer diameter, large flexibility, easy bending, overlapping of multi rows of rods and forming a plurality of fish top. Research and development of back-off fishing drum and curved pumping-rod fishing drums achieved good results in field application. The fishing success rate of improved curved pumping-rod fishing drums is 100%. 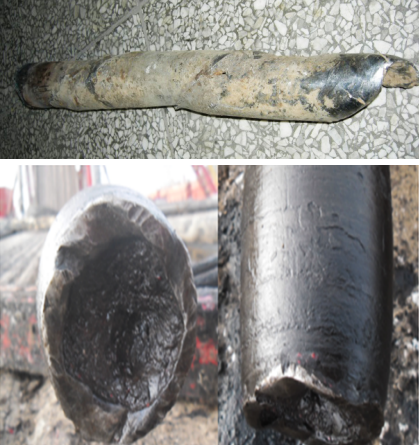 Hydrogen embrittlement, corrosion perforation or even tubing corrosion into stripped sheet iron is likely to occur to tubing due to joint action of in-hole fluids, a variety of minerals and bacteria. Great changes have occurred in the shape and strength of such tubing, which defeats the traditional workover tools and workover process or even sometimes results in complicated undersurface situation. 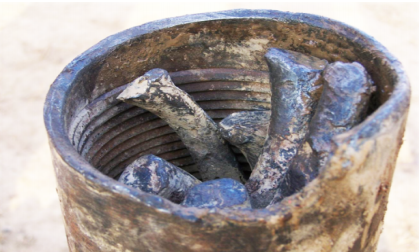 The research and development of a rotating open-window fishing drum employs back-off and casing milling and fishing improve the efficiency of corrosion tubing fishing. 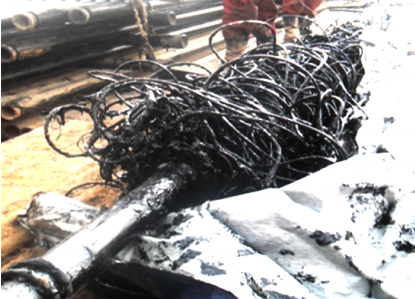 Since the overhaul itself is dealing with incidents with many uncertainties, it is likely to happen that the drill pipe may stuck in the casing, due to the tight gap between the Φ105mm drill collar and casing wall, once the drill pipe is stuck, it is very difficult to deal with, and may cause serious scrapped well. With workover tools, in combination with explosion threads unfastening, jarring unfreezing, continuous tubing sticking flushing, sticked drilling rod within the casing may be coped with.